When is it enough or too much? When do people recognize the greed of this company and fight back? When do towns realize and address, if in any way possible and legal, that such huge proportions of this type of retail being owned by one company is not good for the images they have spent decades cultivating? When does Main Street Breckenridge get renamed, Main Street Breckenridge presented by Vail Resorts? 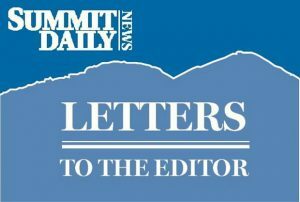 Local businesses provide character, add to the uniqueness of ski towns and provide better service and selection than this company that seeks to dominate every aspect of every mountain town they come into. While our business is not threatened by them, I think, and many agree, that such homogeneity is not in anyone or any town’s best interest. If you own a local business, proudly call that out in your store front. Steer people to other locally owned businesses. Vail seems to hide their ownership of stores like Marmot, Patagonia, North Face and Columbia and countless Breck Sports locations in Breckenridge, and Epic Mountain Gear, Mountain Sports Outlet, etc. throughout Summit County. Let people know. Many people do actually care and prefer to shop local. Vail cares nothing about the towns they occupy or the individuals who live and work there, beyond the money they can make. Their power in every part of the outdoor industry, and ski industry in particular, is insurmountable. Spend your money with them when you have to, but when you can avoid it, avoid it! The United States is facing a crisis. Within the next several weeks, if nothing happens to stop the momentum, Trump’s so-called tax relief bill, a scam diverting money for the rich, will become law. Passing the bill will reduce revenue to the United States government by approximately $6 trillion over 10 years! The Republicans say this deficit will be compensated for by a “tremendous” boost to the economy. However, this “trickle-down” approach has repeatedly failed. After the Bush tax cuts, the U.S. Treasury went from a surplus to a $6 trillion deficit. Recent tax cuts in Kansas did not deliver a predicted boost to the economy, but led to an operating revenue deficit and insufficient funds for public schools, state pension funds, Medicaid, road improvements and state universities. So, trickle down doesn’t work! The huge increase in the deficit created by Trump’s tax relief bill will necessitate trimming government spending to a degree unimaginable, resulting in huge cuts to government programs including Medicare, Medicaid and food stamps. Money will not be available for infrastructure improvement, schools, disaster relief, environmental protection, etc., and the quality of American life will be greatly diminished. In the meantime, the rich will get richer and there will be no middle class, just a highly stratified society of “haves and have-nots.” Regardless of your politics, it is critical that every citizen call their elected representatives and speak out against this impending disastrous legislation. Our representatives were elected to represent all the American people, not just the top 1 percent. Let your voice be heard — tell your elected representatives that this is not the America we want for our children and grandchildren. If Americans speak out, we can stop this disastrous legislation.